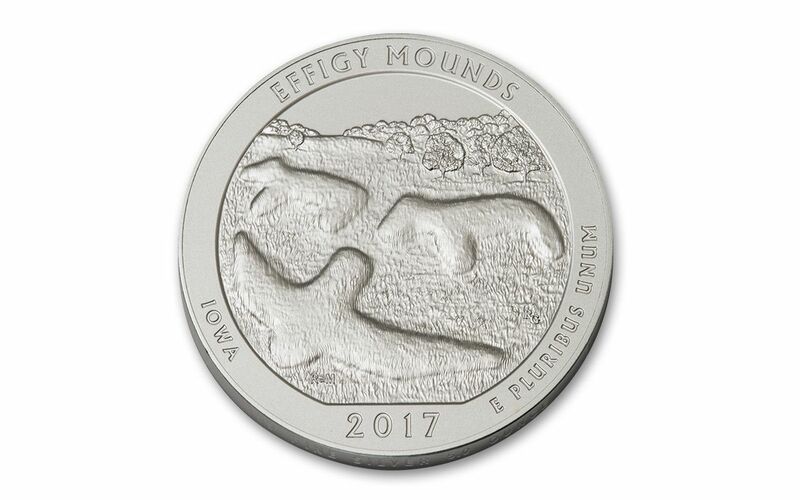 The History and Mystery of Iowa's Effigy Mounds -- Immortalized in Silver! In Iowa, cradled along the banks of the Yellow River and within sight of the Mississippi River, are thousands of acres of lush, beautiful forest containing gorgeous shades of green and brown. However, the true magic can be found in the clearings between the clusters of trees. 200 sacred burial mounds with the outlines of animals and shapes dot the landscape. Mystifying up close and breathtaking when seen from above, these creations were formed millennia ago by Native American tribes. Archeologists and historians have deduced that the mounds could have represented the locations of ideal hunting and gathering spots or might have served as sites for sacred ceremonies. Their true use and meaning, however, may never be known. Westward expansion in the 1800s and 1900s threatened these majestic structures. But through the tireless efforts of people like Ellison Orr, the creation of the Effigy Mounds National Monument in 1949 near Harpers Ferry, Iowa has preserved these sites and the forest that surrounds them for generations to come. 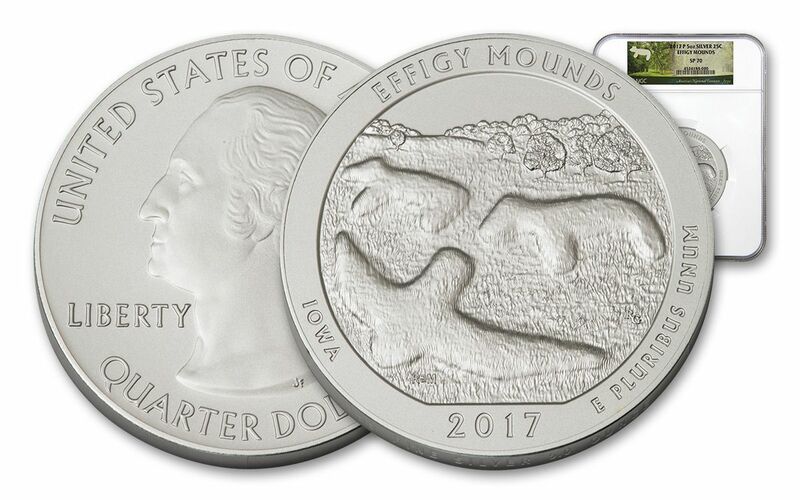 In 2017, the Effigy Mounds National Monument was immortalized as part of the America the Beautiful Quarters® Program. Now, you can bring home a five ounce silver specimen of this America the Beautiful Series coin minted especially for collectors. 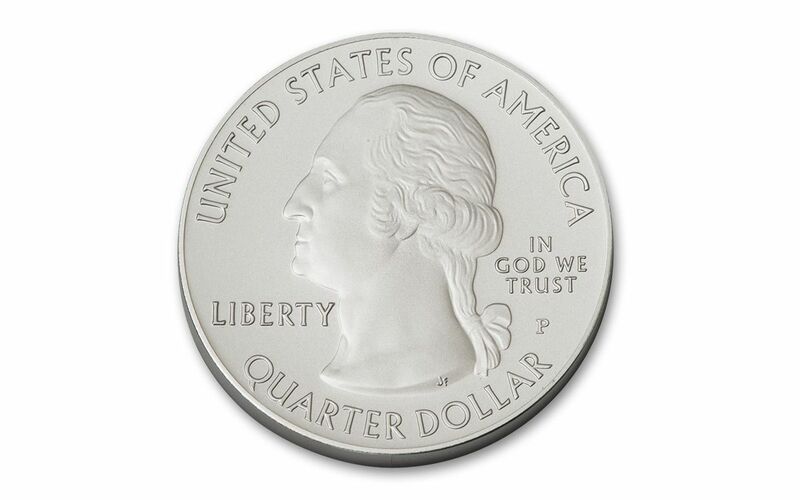 Struck in a weighty five ounces of 99.9% pure silver by the Philadelphia Mint, each coin has a massive diameter of three inches and thickness of over four millimeters, but still has a legal tender value of 25 cents! The literal heads of this massive coin features John Flanagan’s restored 1932 portrait of George Washington along with a "P" mintmark. Turn it over and you'll discover a spacious field with two bears and a bird rising from the grass in front of a landscape dotted with trees. 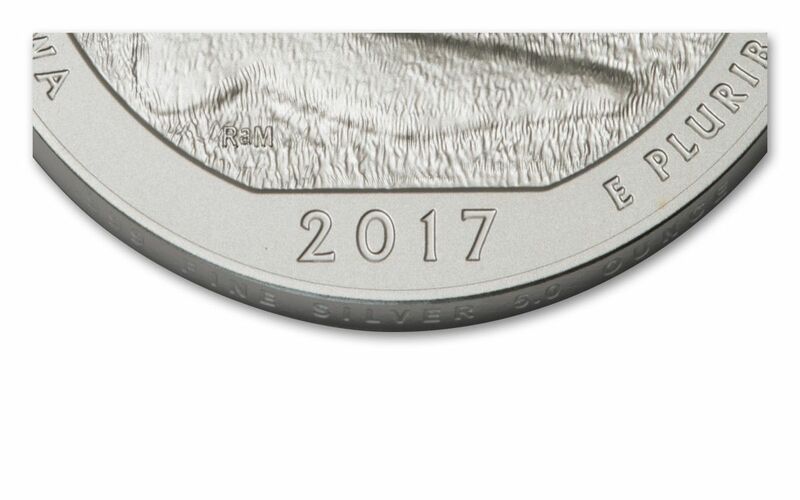 Incused edge lettering confirms that your coin is, indeed, ".999 fine silver 5.0 ounce." 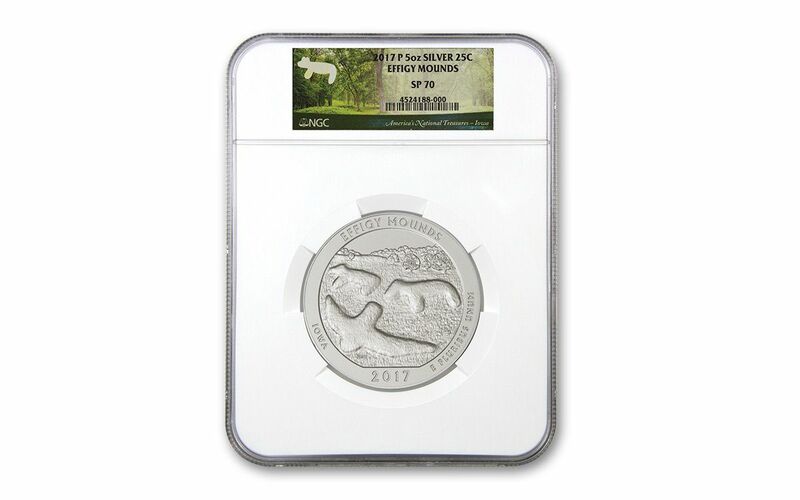 Your 2017 5-oz Silver Effigy Mounds Coin will come graded Specimen-70 (SP70) by Numismatic Guaranty Corporation (NGC), a distinction that means your perfectly-graded coin will have ZERO imperfections -- showing all features and fields exactly as the engraver and mint intended! In addition, your coin will be sonically sealed in an acrylic case with a white display core -- giving you the best in protection while granting clear sightlines into every beautiful detail. Combine the rich natural beauty and sacred history of this site, along with the captivating artwork and attractive size of this coin and you can see why we don’t think this will available for very long. Capture this monumental coin for your collection -- order yours today!